NOTE for ADVENTURERS: raylib is a programming library to enjoy videogames programming; no fancy interface, no visual helper... just coding in the most pure spartan-programmers way. Are you ready to learn? Jump to code examples!. Multiplatform: Windows, Linux, MacOS, Android... and many more! Full 3d support for 3d Shapes, Models, Billboards, Heightmaps and more! Bindings to +25 programming languages! Take a look! raylib is open-source and free to use. View license. Quick reference card is available. When can we expect the full documentation for the raylib? Take for example the documentation on the godot engine. For beginners, it would be very useful. I got the same problem when trying to run an example, it happened on my 2 machines with 1.8 version and now with 2.0 , i can't run anything, i'm running windows 7 32 bit , I've tried even 64 bit but i got the same message, any solution please? When will raylib 2.0 be released? "WARNING! 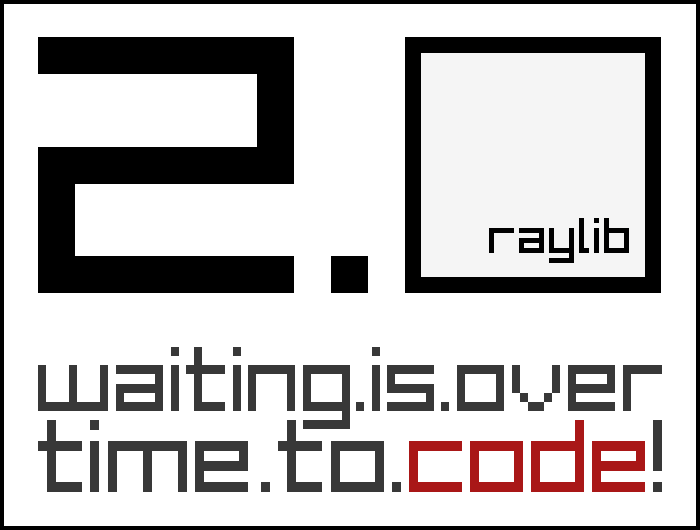 raylib 2.0 is coming very soon! Stay tuned!" Thank you, sir, for such a fine library! I am a vb6 hobby game programmer and was trying to transition to C# for my third game. A friend at BlitWise recommended RayLib and I gave it a shot. 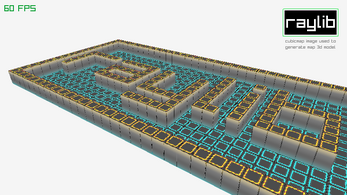 I really like C thus far and Raylib has begun to make 3D accessible for me (and looks much better than my 'layered transparency' approach I was taking in vb6 for my 'dungeon view'). Certainly I am struggling with many things: some C related, and some related to utilizing RayLib. I try always to figure things out on my own but I am wondering if you accept specific questions and if so what is your preferred method of receiving them? Thanks! Keep up the awesome work and looking forward to 2.0! Looks neat! Is it possible to develop on mac? Can you actually make your own game? If so,can you put it on the games page on itch?